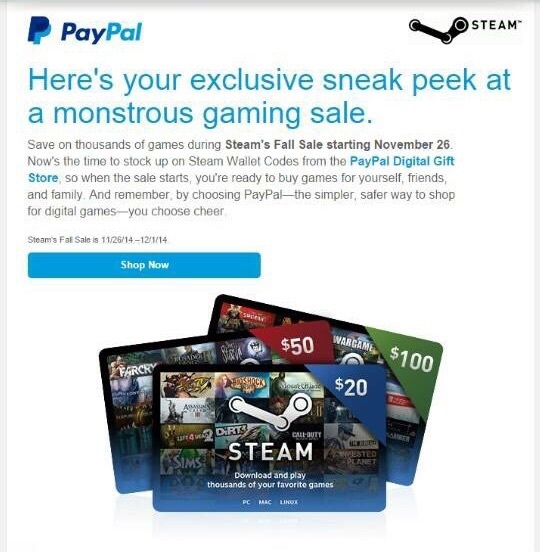 PayPal have pushed an advertising campaign for the sale of Steam Wallet Vouchers which has in turn announced the dates of the Steam Fall Sale. According to the advertisement, the sale starts November 26th and ends on December 1st. Prepare yourselves and protect those wallets. The next Steam sale is barely a few days away. My hearts go out to you all. Stay strong!